Planning on an adventure-filled and unforgettable honeymoon to Latin America or Antarctica? Here are the dreamiest destinations of all. Travel obsessed couples the world over know that the single best reason for getting married is just so one can have an added excuse to take a sensational and not-a-little-luxurious adventure abroad. You know, aside from the “together forever” and in love kind of reasons. And the cake, obvs. Honeymoons are meant to be spectacular, unforgettable and out of the ordinary (should be enforced by law, really) which is why so many newlyweds turn to diverse and enticing Latin America when planning their dreamy honeymoon. The most dreamy honeymoon destinations in Latin America offer something for every couple, be it the animal-loving couple, the beach-loving couple or the exceptionally exhausted couple. Because, let’s face it, weddings are exhausting affairs and if you ever needed a reason to luxuriate in sublime comfort in some exceptional part of the world, rewarding yourself for organizing a wedding would certainly be it. There’s nothing Latin America doesn’t offer: from sparkling glaciers to dreamy stretches of pristine beaches; exotic jungles brimming with fantastical wildlife and a nearly infinite array of superb landscapes that’ll take your breath away. So which Latin America honeymoon destination is a bit of you? We’re going to get the most obvious dreamy choices out of the way and, as such, introduce you to Costa Rica. 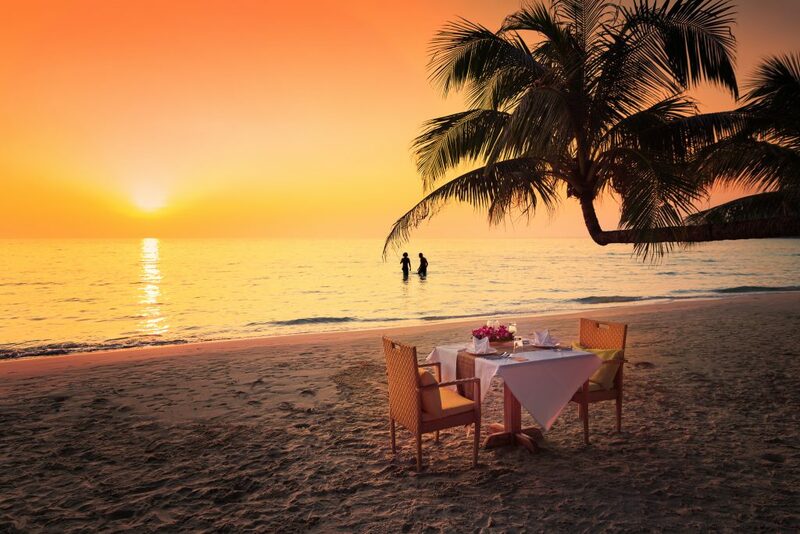 That’s if you don’t yet know that this is one of the world’s most popular honeymoon destinations! The country of volcanoes, luscious jungles, exotic wildlife, sublime beaches and some of the friendliest locals of all offers honeymooners what we’d consider n ‘easy and hassle-free honeymoon’. The northwestern Tamarindo coast is the hub of all-inclusive honeymoon resorts and, although their popularity among honeymooners remains high, the country’s exclusive eco-lodges are swiftly rising in popularity as well. The birthplace of the eco-friendly vacation, Costa Rica is the poster child for sustainable tourism and, as such, is home to some of the most droolworthy lodges in the world. Given this is also the poster child for active vacations, you’ll find an absolute ton of really cool stuff to do here, like ziplining, white water rafting, hiking, mountain biking and volcano climbing, so if you’re exhausted and wish for an easy vacation BUT have plenty of energy to climb, hike and explore, then Costa Rica is your honeymoon destination of choice. From the most popular to the fastest rising contender, Latin America offers a comprehensive array of honeymoon spots you’ve probably never considered. 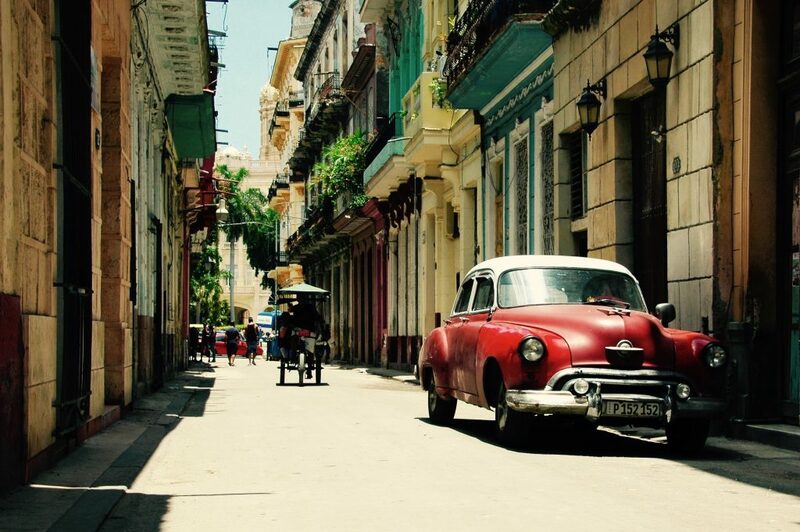 Take Cuba, for example, a still-enigmatic island that’s just woken from a long slumber and emerging as one of the most fascinating and titillating honeymoon destinations of all. Small, compact and terribly inviting, Cuba offers a little of everything: fantastic history, architecture and culture in its main hubs (Havana and Trinidad) and Caribbean splendours best explored by sailboat. The sheer convenience of a weeklong honeymoon in Cuba is that it can seamlessly be added to another honeymoon adventure elsewhere, ideal for those with more time. Modern-day jungle adventures (especially honeymoony ones) ought to include a few days aboard a splendidly luxurious Amazon River cruise. Are we right or are we really right? 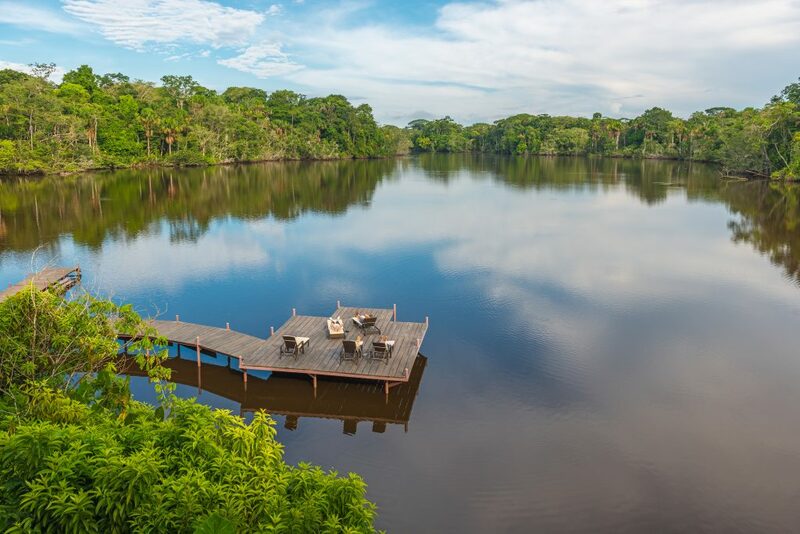 A leisurely exploratory cruise in the Amazon is the kind of bliss honeymoons are made of: brilliant daily on-land excursions to explore the jungle, swims with pink dolphins and searching for sloths, and evenings spent indulging in gourmet cuisine and enjoying your opulent suite, private jacuzzi and private sunset-viewing balcony. All of this gorgeousness right before luxuriating in the best sleep of your life under luscious Peruvian linen and with the blissfully quiet swirl of an air-conditioning unit. Tarzan and Jane reinvented? You bet! 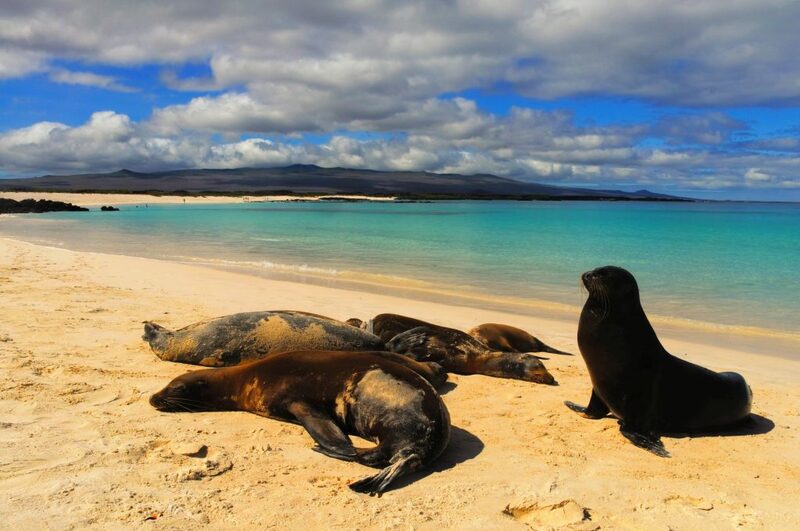 Galapagos exudes exclusivity by mere mention alone, with this cluster of wildlife-brimming islands, floating off the Ecuadorian coast, being among the world’s most revered destinations. Best explored on liveaboard yachts, the Galapagos are an entire ecosystem onto themselves, with each island boasting unique wildlife encounters and immensely beautiful landscapes. On your honeymoon, choose a smaller vessel for added luxury, comfort and exclusivity and you’ll feel like you’ll have the place to yourselves or add a 3-night stay at the Finch Bay Hotel for a pinch of island escapism. Amazon cruises are among the Must-Do Cruises in South America. Nothing screams ‘let love rule’ more than a bunch of lazy seals on the beach, are we right?! Credit: Shutterstock. Worried your beloved other-half may forget your honeymoon anniversary date? No chance of that if you book an Antarctica honeymoon expedition! Granted, some years it may well be ‘Oh, honey, isn’t this about the time of year we went to Antarctica?’ But why be picky?! You’ll be just as excited recalling the memory. An Antarctica expedition cruise is one of the world’s most coveted and unforgettable experiences and if you think there’s nothing romantic about a jaunt to the coldest, windiest and driest continent on our planet, you’re in for a wild surprise. Did you know that Antarctica is rising in the rans of can’t-possibly-top-this spot for destination weddings? You do know! A handful of luxury expedition yachts can turn an adventurous and hardy jaunt to the southernmost continent on earth into a luxurious adventure, where the ice, cold and wind can be firmly kept out of your opulent cabin at night and where the wilderness and wildlife highlights will be yours for the taking all day long. A fantastic option for well-travelled couples who want the ultimate adventure. 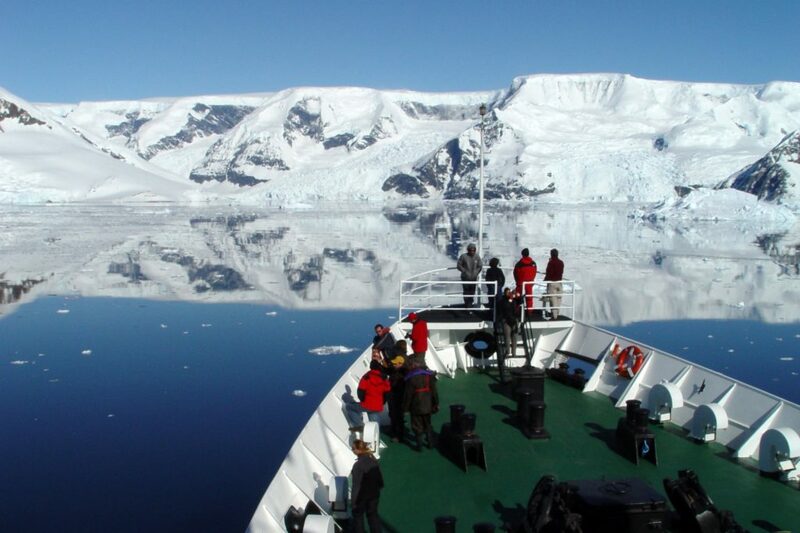 Isn’t Antarctica the single most adventurous and exciting destination for your honeymoon? We think yes. Credit: Shutterstock. Bonus #6 – A multicountry honeymoon for the couple who simply WANTS.IT.ALL. If honeymoons really are about once-in-a-lifetime experiences then why limit yourself to just one destination? Our Collections of South America honeymoon tour is a sensational 3-week jaunt through the continent, soaking up all the pin-up highlights you’d be crazy to miss. From the dizzying heights of the Andes Mountains and the ancient Inca treasures of Machu Picchu, to the luscious depths of the Amazon jungle, the awe-inspiring thunder of Iguazu Falls and the exhilarating delights of Latin America’s two prime capitals – Buenos Aires and Rio de Janeiro – this itinerary lets you kick off married life in truly epic style. Landmarks like the Iguazu Falls are only one of the amazing destinations our multicountry honeymoon can take you. There are no limits to your perfect Latin America getaway. Haven’t even proposed yet? GREAT! Get a head start on your Latin American honeymoon plan and read our guide to the Most Romantic Proposal Locations in South America. There isn’t a romantic in the world who wouldn’t jump at the chance of honeymoon in the place where they were proposed to! We know, we know…genius! For more fantastic Latin America honeymoon ideas, visit Chimu Adventure’s Honeymoon page where you’ll find among all the awesome trips, fantastic inspirations on honeymoon trips to the Galapagos and Machu Picchu and an astonishing glamping experience in Patagonia. As always, we are right here to take your call. Be amazed by the lost Incan empire 'Machu Picchu' before surrounding yourself with the legendary wildlife and breathtaking scenery of Antarctica.